Mary was a Jewish girl who lived in the city of Nazareth. She was engaged to be married to a man named Joseph. Mary didn't know it yet, but God had chosen her from among all the Jewish maidens to fulfill a very special purpose for Him. God sent an angel to her with the message. 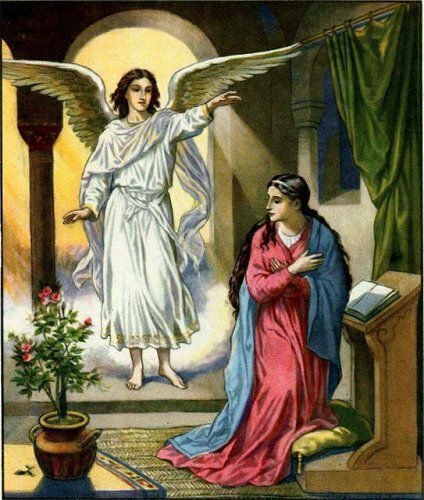 The angel Gabriel said to her, "Greetings, O favored one, the Lord is with you!" Mary was afraid, but the angel explained to her that she was going to have a son, and his name was to be Jesus. 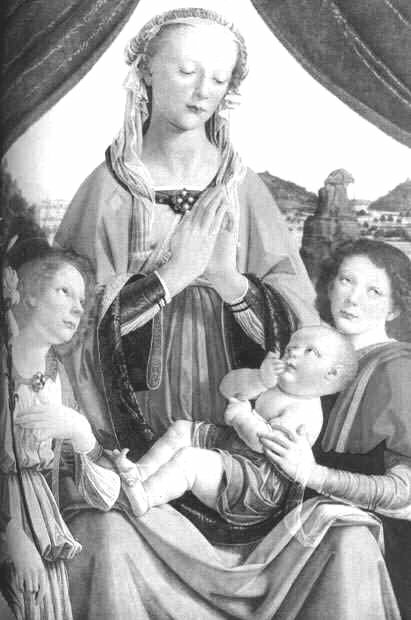 Mary's baby was not to be born in the manner that other babies on earth had been born. 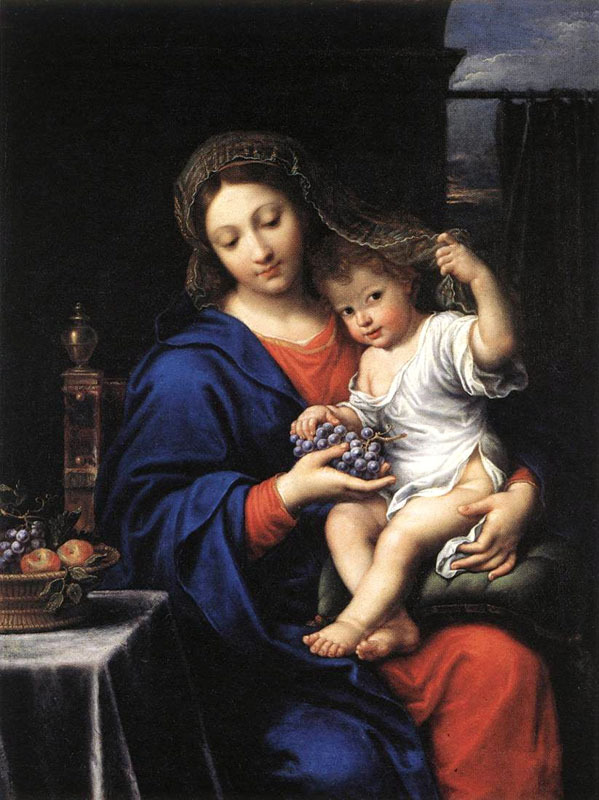 He would have an earthly mother, Mary, but He would be fathered by the Holy Spirit of God. He would be the Son of God! He would be Emmanuel, "God is with us". He would be a king and establish a kingdom which would never end. Then Mary asked, "How can this be, since I do not know a man?" Then the angel said to her, "The Holy Spirit will come upon you, and the power of the Highest will overshadow you; therefore, also, that Holy One who is to be born will be called the Son of God." 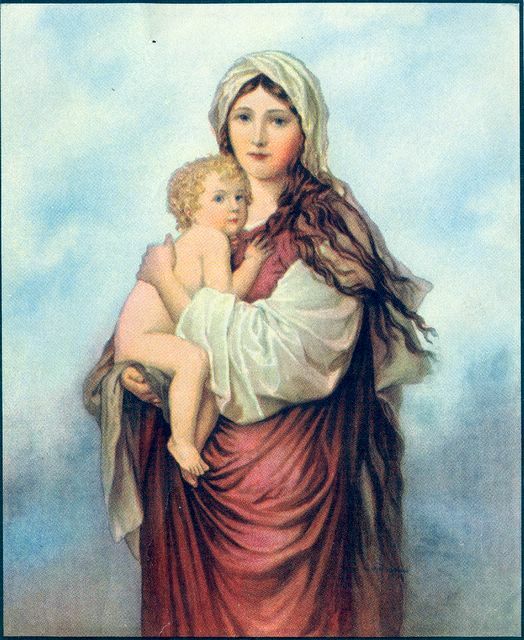 Mary said, "Behold, I am the servant of the Lord; let it be to me according to your word." Then the angel left her. You can imagine Joseph's reaction when he found out Mary was pregnant. They had not finalized the marriage nor lived together as man and wife. She would be disgraced. As he was trying to figure out what to do, an angel appeared to him in a dream and said, "Joseph, son of David, do not fear to take Mary as your wife, for that which is conceived in her is from the Holy Spirit. She will bear a son, and you shall call his name Jesus, for he will save his people from their sins." So Joseph and Mary were married as they had planned. Did people suspect she was already pregnant? The newlyweds knew the truth. They knew the Child she was carrying was from God. Another person also knew the truth; Elizabeth, her cousin. She visited with Elizabeth, (who would become the mother of John the Baptist) and told her about the angel's visit and the events that had taken place. As the time neared for the baby to be born, Mary and Joseph had to go to the town of Bethlehem to pay their taxes. When they arrived in the town all the inns were filled because many other people had also come into town for the same purpose. The only place for them to stay was in a stable, and it was there that Jesus, the Son of God, was born. Mary wrapped her baby in some cloths she had brought with her to Bethlehem. The first announcement of the birth was to shepherds watching their sheep in the field. An angel appeared to them saying, "Fear not, for behold, I bring you good news of great joy that will be for all the people. For unto you is born this day in the city of David a Savior, who is Christ the Lord." Then many angels appeared praising God for the event which had taken place. The shepherds hurried and found the Baby and immediately began to tell other people about what they had witnessed. Mary and Joseph lovingly cared for the Child and were guided by the Spirit. Once, because of a warning by an angel, they had to flee to Egypt and stay for a long while because His life was in danger. 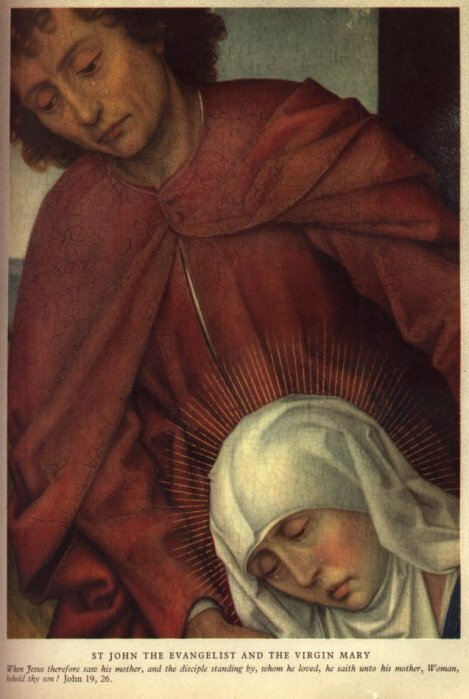 When Jesus, at the age of forty days, was presented in the temple before Simeon, the prophet said to Mary, "Behold, this Child is destined for the fall and rising of many in Israel, and for a sign which will be spoken against (yes, a sword will pierce through your own soul also), that the thoughts of many hearts may be revealed." 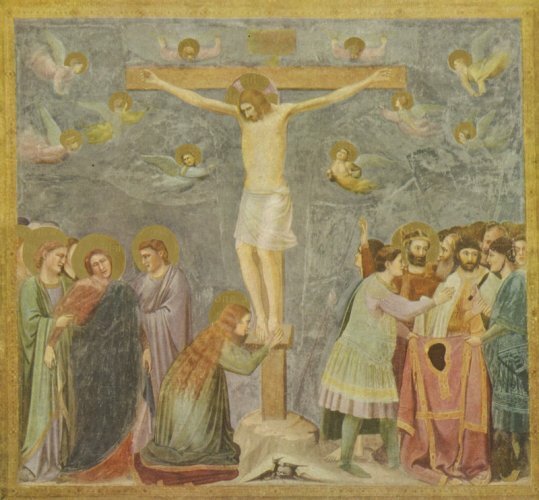 And Mary's soul was pierced when thirty-three years later she saw her Son crucified on a cross. God has chosen many people for His special purposes, but the choosing of Mary to be the mother of our Lord was one of the highest honors. We have also been chosen for a special purpose. We read in 1 Peter 2:9 "But you are a chosen generation, a royal priesthood, a holy nation, His own special people, that you may proclaim the praises of Him who called you out of darkness into His marvelous light." (1 Peter 2:9) Our purpose is to proclaim the praises of God. Let us take this calling seriously and live up to what God expects of us as His chosen children. English Bible Activities Select story #165 and 167 in the list for activities to accompany this Bible story. Spanish Bible Activities Select story #165 and 167 in the list for activities to accompany this Bible story. Press "Go" to search for books about Mary mother of Jesus. All of the images on this page are in the public domain. Is Mary the real God when the angel brought God's message to her? Jesus is real God so what about Mary? Indeed I am a chosen one too to give glory to all that we do. have a problem with the AV. This page displayed 225,370 times.